a holiday decorating contest. 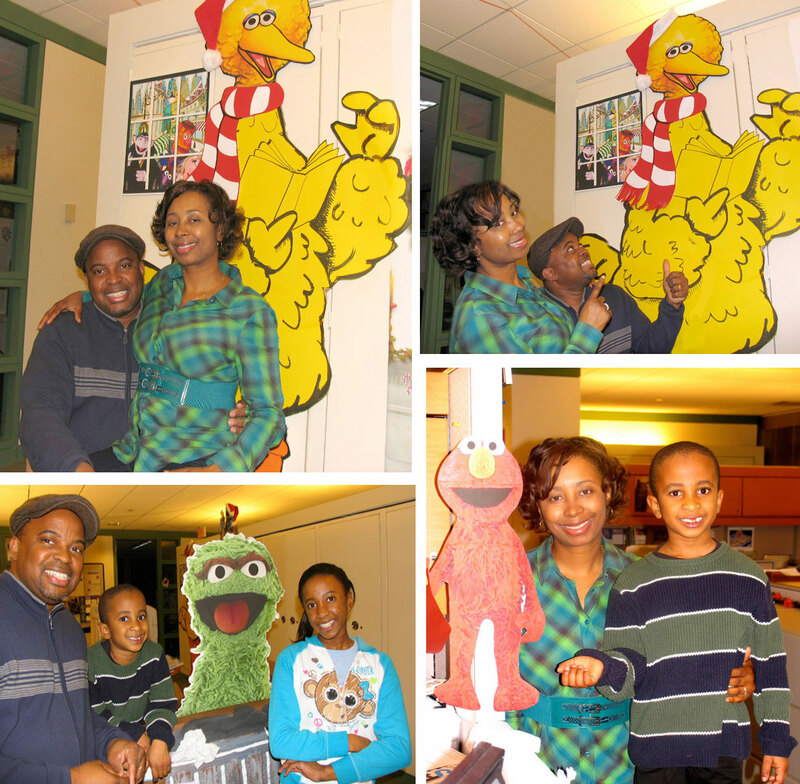 The publications department’s created a Sesame Street theme. Over the weekend, my family came by and we shot some photos.